2019 has been on the buzz list for being a huge year for change! Well that is what you will see when you visit Busch Gardens and Water Country this year with two new attractions. FINNEGAN’S FLYER™ and Cutback Water Coaster™ looking both to debut in May got us all excited to experience the fun and excitement we have all come to expect from Busch Gardens and Water Country Parks! 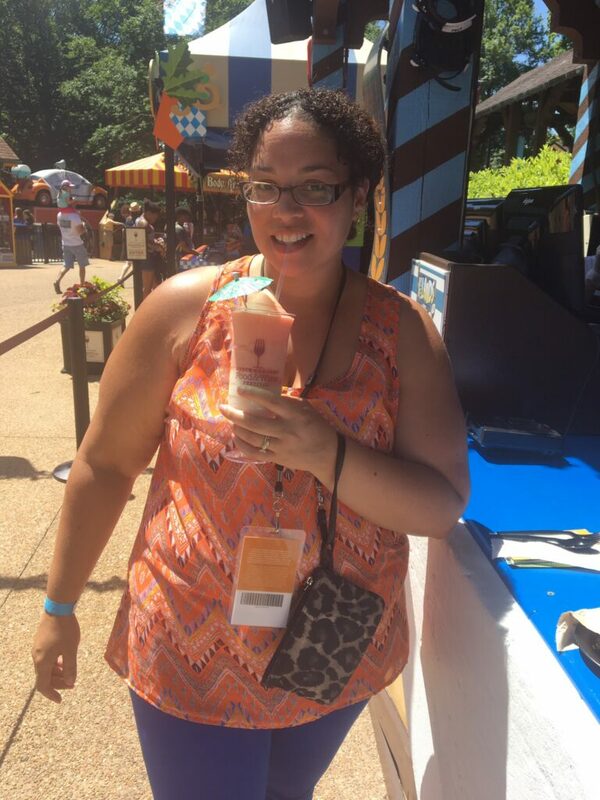 I am looking for the traditional favorites to the fun-filled weekends such as the Food & Wine Festival, where you can unleash their inner foodie with over 60 specialty food items from around the world, 30 different wines, 25 craft beers and 20 unique cocktails not normally served at the park. We don’t want to forget about the little’s with, Sesame Street® Kids’ Weekends with our favorite friends from Sesame Street! You and your kids will get to Party with Elmo, Super Grover, Cookie Monster, Rosita and more for all the fun. Don’t forget the milestones that will be celebrated this year! Apollo’s Chariot® turns 20 and Sesame Street® Forest of Fun™ celebrates 10 years along with Celtic Fyre® ! You may even want to come and celebrate your special days too! Did someone say festivals? Well, look no further in what you are going to experience. Busch Gardens takes festival very seriously! Summer Nights are that much cooler! With special entertainment, yummy culinary experiences and a fun nighttime atmosphere will give guests a new reason to visit during summer evenings. It is fun for everyone! The Royal Palace Theatre lights up with Spark presented by Coca-Cola®, a high-energy spectacle featuring party-starters, laser lights, pyrotechnics and a custom soundtrack created by award-winning musicians. Even more, entertainment has been added to the fun of Summer Nights, acts from the hit show America’s and Britain’s Got Talent will take the stage every week during the summertime event. Stay tuned for updates on Social Media for who will be there! Summer is always fun but nothing stops Busch Gardens from Celebrating the Bier Fest. With more than 200 years of Oktoberfest, traditions come to life this fall. You can sample traditional German food, listen to live local music, and experience all this unique Bavarian celebration has to offer. You will go from hoppy to bold, we have a craft beer to satisfy everyone, If you attended last years Fest you might have seen some of your local Hampton Roads Favorites! The Holidays Are Always Fun at Busch! From Halloween with Howl-O-Scream™ and Christmas with Christmas Town™, you will never get bored to see what they will bring you! Locals have come to know the fear awaits you in the Virginia theme park’s collection of elaborate haunted houses and immersive themed scare zones. But we don’t want to forget about those who don’t like to be scared too! The Count’s Spooktacular Young guests can celebrate silly, not-too-spooky fun on Saturdays and Sundays in October. Dress the kids to join in the costume parade during this daytime events. There are other family-friendly activities, too, like a fun-filled hay maze, trick-or-treating locations, and an interactive show. To wrap up a fun filled year, Christmas Town™ is there to bring you joy! 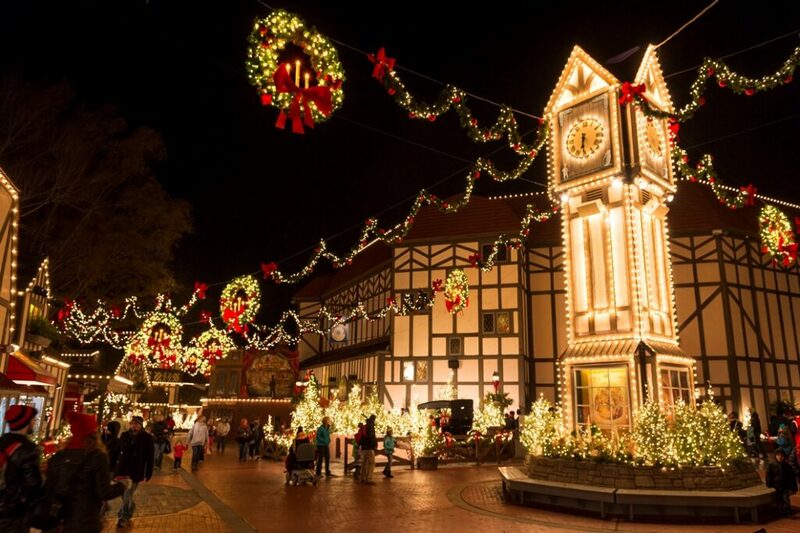 Busch Gardens is know to be one of the world’s most beautiful theme park with one of the largest Christmas light displays in North America. Come to experience the best of the season with festive food and drink, holiday shopping and heart-warming shows! This will sure make the spirit of the season come alive for you and your family! 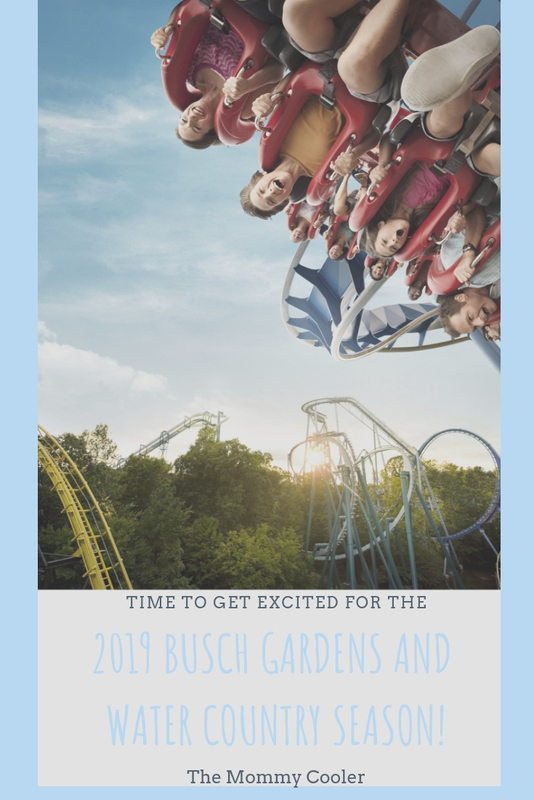 Don’t Miss Your Chance to get in on the Fun at Busch Gardens and Water Country in 2019! The best way to visit Busch Gardens® Williamsburg and Water Country USA®, is to get a Membership Pass! With new attractions, events and expanded favorites will give you and your family something special to experience nearly every week at the Williamsburg theme parks. Have Kids under 5? Get a Pre- School Pass for Free!!!! 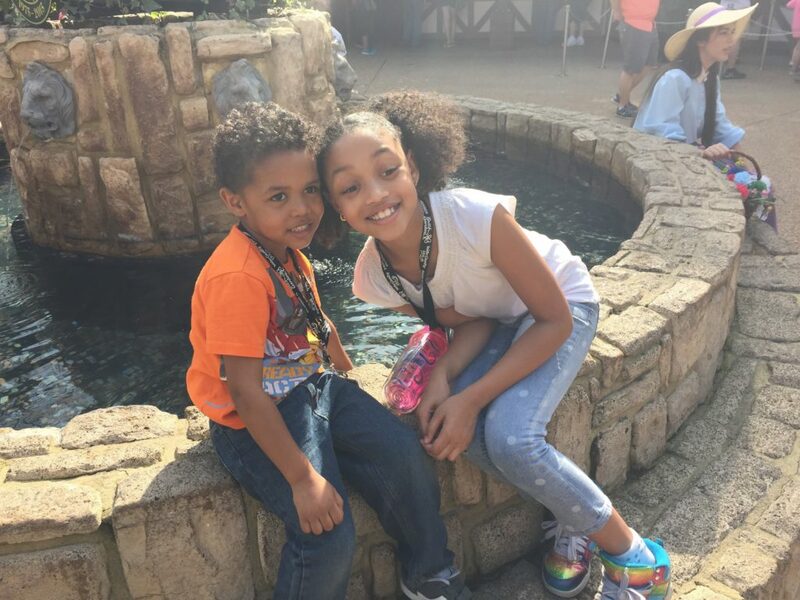 What a great deal with parents with children 3-5 years of age to attend Busch Garden and Water Country Parks Free for the Entire Spring and Summer season!!! 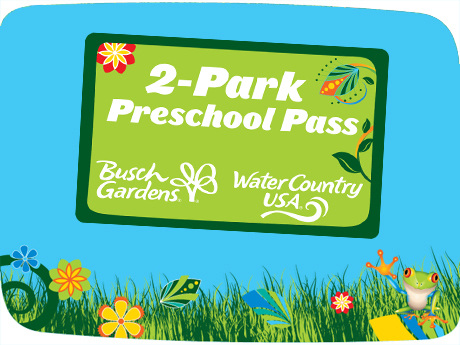 With Busch Gardens® and Water Country USA® they offer this free 2-Park Preschool Pass for a limited-time, online. Admission is to both Williamsburg theme parks through Oct 27th!!! Look For a limited time only!!!!! You can purchase a Busch Gardens Membership and get a Water Country USA Membership for FREE. Membership Plans start at just $9.99/mo.,with multiple plan choices to suit everyone. You may choose from three Membership plans – Basic, Unlimited and Premier, and each Membership includes unlimited visits, valuable benefits, monthly rewards and admission to the park’s popular Howl-O-Scream™ and Christmas Town™ events. In addition, Members receive admission to Sneak Peek Days for access to special events before opening to the general public. Member Sneak Peeks are scheduled on March 16, Sept. 13 and Nov. 15 this year. So what are you waiting for? Which part of the park are you excited to see?